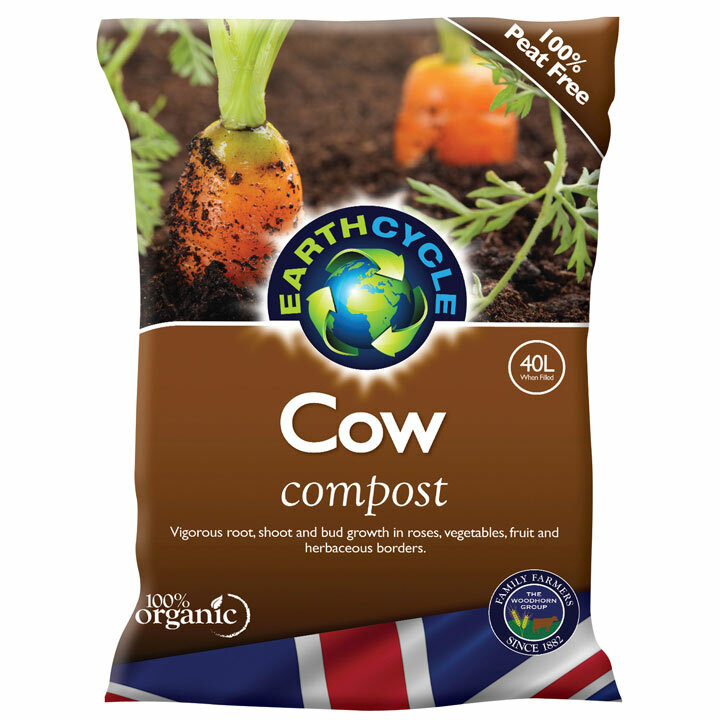 Earth Cycle Organic Cow Compost is a nutrient-dense organic soil conditioner based on composted cow manure from an organic dairy herd. Ideal for vigorous root, shoot and bud growth in roses, vegetables, fruit and herbaceous borders. Incorporation improves drainage and aeration in heavy clay soils and adds body to light sandy soils, helping to retain moisture and nutrients. It improves soil fertility by adding vital humus and plant nutrients, encouraging healthy plant growth. It also boosts beneficial soil life leading to healthy soil microbial activity that helps to naturally suppress plant diseases. Compost enhances moisture retention in soil, leading to improved drought resistance meaning that more moisture is available for your plants during dry periods which is critical for them to flourish. 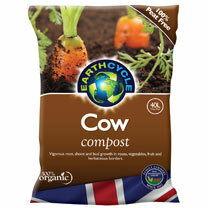 Available: 40 litres x 1, 10 or 20 bags.